Founded in the 13th century, “Nikolaiviertel” or the ´Saint Nicholas District` is a lovely corner of Berlin whose charm makes it worth visiting in a relaxed fashion. 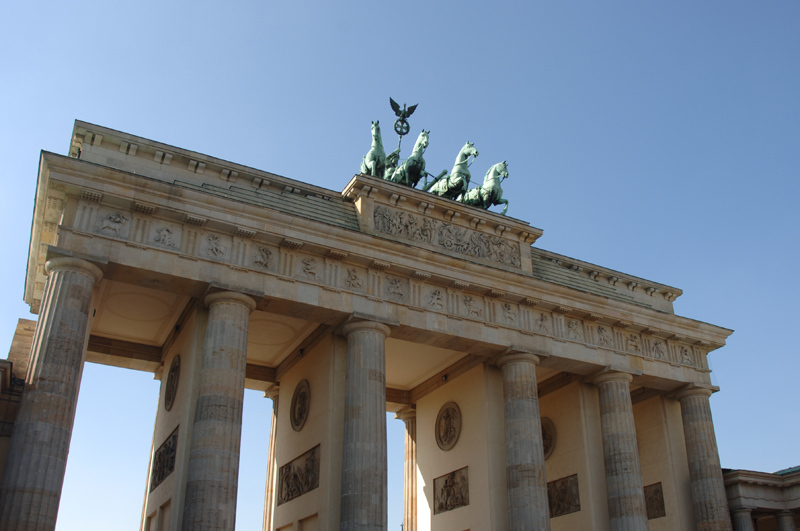 It is located just a few minutes from Alexanderplatz, right in the middle of Berlin. The Church of Saint Nicolas is the most renowned building in this peaceful quarter. If you have time, enjoy a leisurely stroll through this small labyrinth of pedestrianised streets full of typical shops, traditional style restaurants and medieval houses. It will take you back to the kings, princesses and dragons of the middle ages, just wait and see. You might think that this is a neighbourhood which is as old as it appears, however this is not the case. Although it was founded in the middle ages, the whole district was completely rebuilt on the orders of the authorities in around 1987. The aim was to recreate its original appearance and results show that this was achieved. What is original though is the church, as well as some of the small houses around it. Most of the quarter is modern however. To make the most of this district, we recommend you explore it either around lunchtime or suppertime, and take the chance to try a traditional German dish in one of the many small restaurants in its narrow streets. So, “Guten Appetit!”, or ´Enjoy your Meal! `.